NJERU – It is full house for the Crested Cranes following the arrival of United States of America (USA) based duo of Sandra Nabweteme and Yudaya Nakayenze. 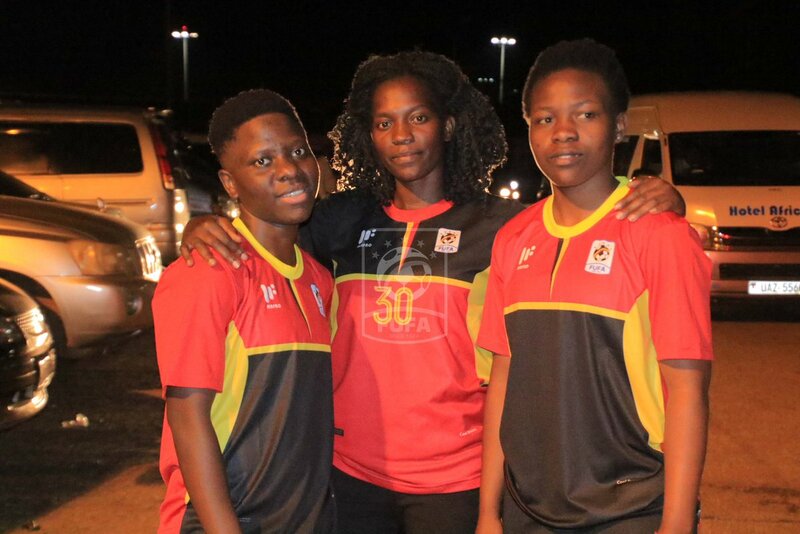 The two arrived at Entebbe International Airport on Thursday night at time and were received by FUFA Women’s Development officer, Joan Namusisi. Uganda will face Ethiopia in the first leg of the Tokyo 2020 CAF Women’s qualifiers at Addis Ababa Stadium on 3rd April 2019 before the return leg three days later at StarTimes stadium, Lugogo. Crested Cranes head coach Faridah Bulega is expected to name the final squad over the weekend before the team travels to Ethiopia on Monday. Phionah Nabbumba (Ajax Queens), Tracy Jones Akiror (Kawempe Muslim Ladies), Teddy Najjuma (UCU Lady Cardinals ), Shamira Nalujja (Isra Soccer Academy), Fauzia Najjemba (Isra Soccer Academy), Lilian Mutuuzo (Kampala Queens), Anitah Namata (Kawempe Muslim Ladies ), Susan Atim (Olila High School ), Ritah Nabbosa (Lady Doves).